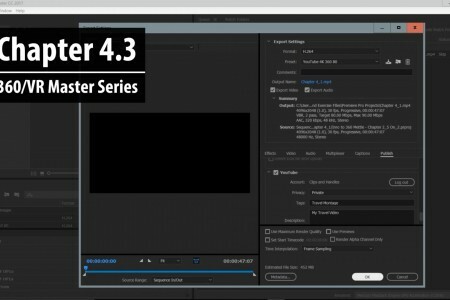 Chapter 4.3: This tutorial continues a look at Adobe Media Encoder, and choosing parameters that work for 360 video. 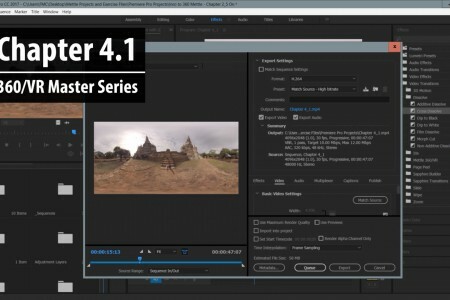 Chapter 4.2: In this tutorial, we go through the Adobe Media Encoder and learn what parameters to select to create a custom preset for 360/VR output. 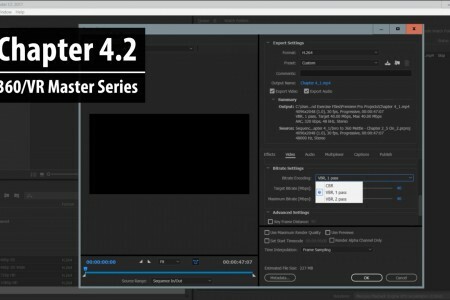 You will learn which Bitrate to select, and how to include 360 Metadata.